Whistleblowers are people who witnessed an illegal or unethical conduct being committed by a company or an individual and chose to expose it. The unlawful wrongdoing might have occurred within their workplace if they are insiders, or outside. Anyone, not just U.S. citizens, might tell the truth by reporting it to his superiors, to the government authorities, to the media or to specialized lawyers. Why should you blow the whistle? According to a national survey made in 2007 by the Ethics Resource Center, 56% of all employees witnessed a fraud or took part in some type of unlawful misconduct at work. Different people might choose to blow the whistle for various reasons. You might want to earn the substantial financial reward offered by the government to those who expose a fraud. You might want to seek justice against an unscrupulous corporation or individual who is defrauding taxpayers. Or you may have been subjected to threats within your workplace and you’re seeking protection. Whatever your reason might be, our specialized attorneys are here to help you guide through the process of whistleblowing. You don’t need to be a hero to expose a fraud: you just need the bravery to fight against injustice, knowing the federal authorities will protect you together with our legal team. A Qui Tam is the legal process through which an individual who wants to blow the whistle files a lawsuit in the name of the government against those who committed a crime. In America, several state and federal laws are in place to allow U.S. citizens and foreign residents to sue and prosecute anyone they uncovered while perpetrating a fraud. The qui tam relator will be rewarded with a share of the civil penalties and forfeitures paid, in the form of a percentage ranging from 10 to 50 percent of the final settlement. If you blew the whistle, your employer might try to retaliate against you, threat you or fire you. However, the federal authorities have instated numerous protection laws that protect you against any form of unfair retaliation or revenge. These statutes provide legal recourse for all whistleblowers, and allow them to sue the employer who committed a fraud. Victims of retaliation are eligible for reinstatement and receiving a large financial compensation. Several whistleblower laws are currently in place to allow individuals to report an illegal misconduct by filing a qui tam suit. They determine the amount of money they could receive as a percentage of the amount recovered by the government because of the information they provided. These statutes also provide protection to those brave enough to come forward and assist the authorities in fighting corruption in the country and abroad. Thanks to these federal programs, private individuals can report any fraudulent behavior including companies who defraud public entities, steal money, fail to pay taxes, employ corrupt practices to obtain unfair advantages, or violate federal securities. Depending on the information you provide and the type of fraud involved, your lawsuit may be filed under one or more of these programs. The oldest and most often utilized provision, the False Claims Act (FCA) was established by the Congress in 1863. Any case filed under the submitted directly to the federal court system. If the suit is successful, the qui tam relators could be rewarded with 10-30% of any civil fines and settlements collected. The Internal Revenue Service (IRS) Whistleblower program has been established to combat tax evasion and fraud by rewarding those who expose this type of unlawful activities. So far, this office has paid more than $315 million to the courageous whistleblowers who took a step forward. Through its dedicated Whistleblower Office and the Dodd-Frank Act’s qui tam section, the Securities and Exchange Commission (SEC) successfully fight companies who violate securities laws to maintain a fair market. In the last decades, the U.S. government has redoubled its efforts to fight corruption abroad. 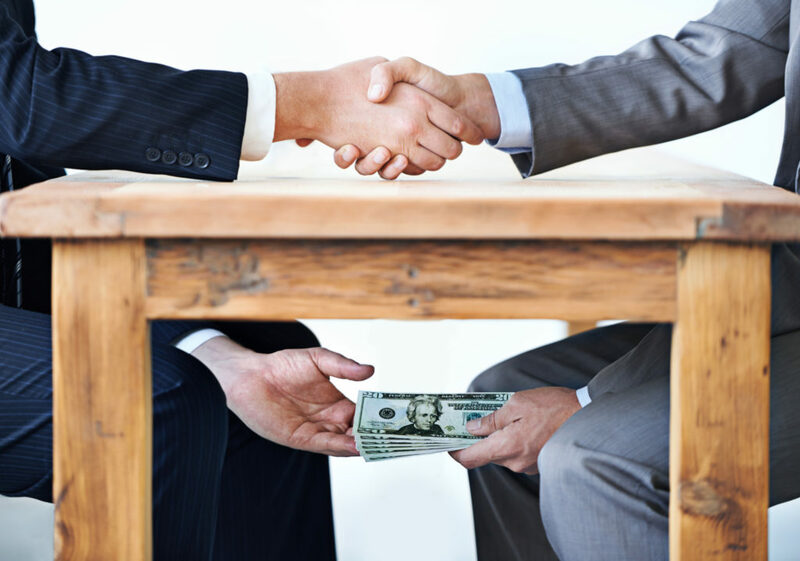 The Foreign Corrupt Practices Act (FCPA) is a federal law that fights against all types of corruption and bribing of foreign officials and international companies. The FCA establishes a statute of limitations that defines how long an individual can wait before filing a qui tam suit. All whistleblower cases must be filed within 6 years if the fraudulent behavior is known but the evidence is not sufficient to open a case. However, if the case was hidden before the relator came forth, this time is extended to 10 years. If the suit is filed under the IRS and SEC WB programs, instead, the statute of limitation is much shorter: no more than 3 years. Anyways, the earlier you report the abuse, the higher are the chances for your case to be successful in court. How can you become a whistleblower? If you are an insider who witnessed any abuse or fraud, you might take a step forward and report it to receive a reward. Our attorneys are here to assist you to blow the whistle. We will help you through the investigation phase to collect any evidence needed to back up your claims. Our legal team will be on your side to protect you and your family from any retaliation, and will explain your options so you can choose the most efficient path to secure a successful verdict. All our communications will be strictly confidential and fully anonymous. Call us now to receive a free legal consultation with no obligation. Together, we will fight for justice.